* Black Phantom textured finish This has been our hottest new seller giving your mustang one of the best looking exterior upgrades available. 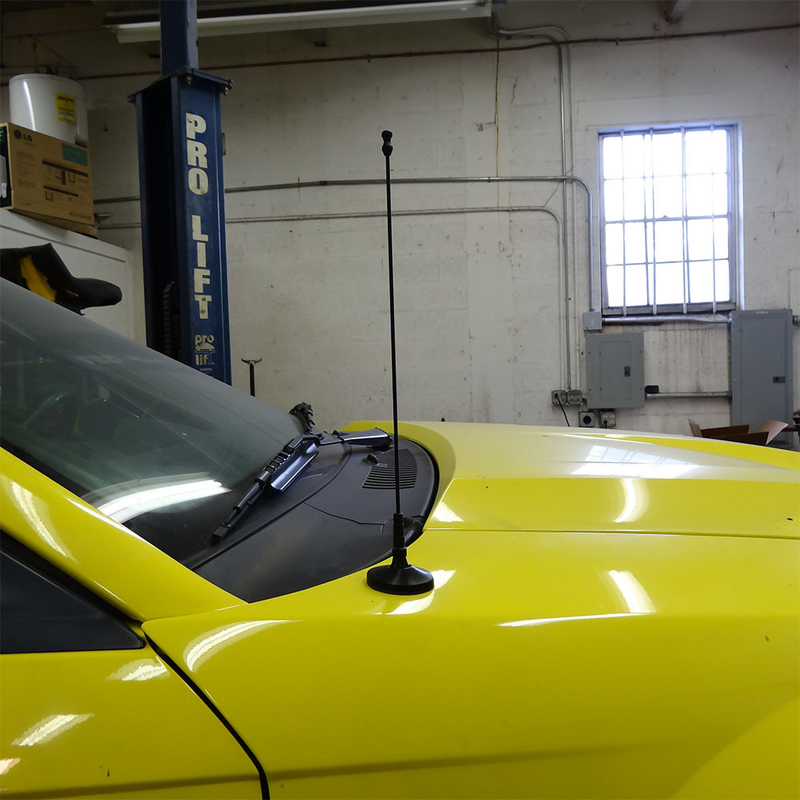 Look closely at our Billet Shorty Antenna and you will see the Difference in Quality. Our Antenna's are Built on Swiss Screw Machines using only the Best Diamond Cutters available. No other re-seller can match the Superior Quality and Machining at these prices. Our Quality & Finish will leave you with a grin from ear to ear as it is the Best looking unit available for your Ford Mustang or Cobra. Quality Construction: AMP Products uses the latest Technology to bring you the Highest Quality, Fit & Finish Custom Billet Products at an Affordable Price for your American Muscle Car. Installs in 5 minutes or less. Fits these Vehicles: 1979 1980 1981 1982 1983 1984 1985 1986 1987 1988 1989 1990 1991 1992 1993 1994 1995 1996 1997 1998 1999 2000 2001 2002 2003 2004 2005 2006 2007 2008 2009 V8 V6 GTS LX GT500 GT Cobra Mach 1 Bullitt Shelby Mustang Roush & Saleen Vehicles. Made in the USA!